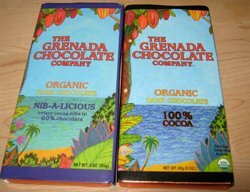 Grenada Chocolate’s bars were more than just praiseworthy “fair traded” chocolate. (Over a dozen chocolate makers are included in the chocolate directory on this website, including Grenada Chocolate, which nonetheless is in its own unique category.) In 1999, Mr. Green founded a chocolate company with a truly “transparent supply chain from farmer to consumer.” His idea was to create an organic cocoa farmers’ and chocolate makers’ cooperative. The cooperative farms 200 acres of organic cocoa and operates its own cocoa fermentary “one mile from our little factory” as noted on Grenada Chocolate’s website. Every activity involved in the production of its chocolate, from the planting and growing of the cocoa , to the fermenting of the fresh cocoa beans to the processing of the fine dark chocolate is done on the Caribbean island by the cooperative. Delivery of 18,000 Grenada Chocolate bars by a sailing vessel from Grenada to Holland perfected the extraordinary vision of Mott Green. Because small batch chocolate-making is very rare in this era of commodity chocolate, Mott Green designed the cooperative’s own machines, based in design on those of the early 1900’s. He also refurbished antique equipment “to meet the requirements of our unique situation.” In making its small batch chocolate from organic Grenada cocoa, some ingredients, carefully chosen, from off-island were used by Grenada Chocolate: organic raw sugar, produced and milled by an organic growers’ cooperative in Brazil, and whole organic vanilla beans, grown biodynamically in Costa Rica. Mr. Green’s memory will live on with the continuing operation of Grenada Chocolate. In 2012, Belmont Estate and Grenada Chocolate formed a close partnership with organic cocoa beans, purchased from local organically certified farmers, fermented and dried at Belmont for Grenada Chocolate’s small factory to produce its chocolate. (Grenada Chocolate and Belmont Estate are members of the Grenada Organic Cocoa Farmers Co-operative Society Ltd., that grow organic cocoa to make the product. 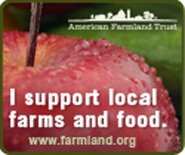 The co-operative consists of about twelve farmers that have received organic certification through the German certifying company Ceres.) Shadele Nyack Compton of Belmont Estate has indicated that Grenada Chocolate’s unique operation will be continued. In addition, Mott Green’s inspirational story lives on in the documentary Nothing Like Chocolate which conveys how Mr. Green found hope “in an an industry entrenched in enslaved child labor, irresponsible corporate greed, and tasteless, synthetic products.” The filmmaker, Kum-Kum Bhavnani, is a university professor by day and a filmmaker by night. Her first film was the feature documentary, The Shape of Water, narrated by Susan Sarandon (www.theshapeofwatermovie.com). Aware of the harsh conditions faced by the people, often children, who harvest cocoa in West Africa and elsewhere around the world, Bhavnani knew she “had to spread the word about how all of this might be done differently.” The three minute trailer for Nothing Like Chocolate whets the appetite to view the entire film. Cocoa, the basic ingredient in the production of chocolate, has its historical origins according to archeologists in what is now Mexico. The ancient Olmecs “ate the sweet, pulpy fruit of the cocoa plant and likely cultivated it in 1000 BCE” [Edible, An Illustrated Guide to the World’s Food Plants, Washington, D.C.: National Geographic Society, 2008, www.nationalgeographic.com/books]. The entry on cocoa in this informative guide further notes that Cortes brought chocolate and the knowledge of how to prepare it back to Spain in 1527, but “it took a few more decades- and the addition of sugar and vanilla to the beverage- for chocolate to become appreciated in Europe. . . and in 1847, the first chocolate bar was created, and chocolate makers have never looked back. ” Mr. Green, who grew up in New York City’s Staten Island in a middle class family, found purpose in life as a chocolate maker on the island of Grenada. He enriched life on this “island of spice,” now known for its chocolate due to his energy and creativity. No doubt, Mott Green will be remembered as a chocolate maker par excellence.